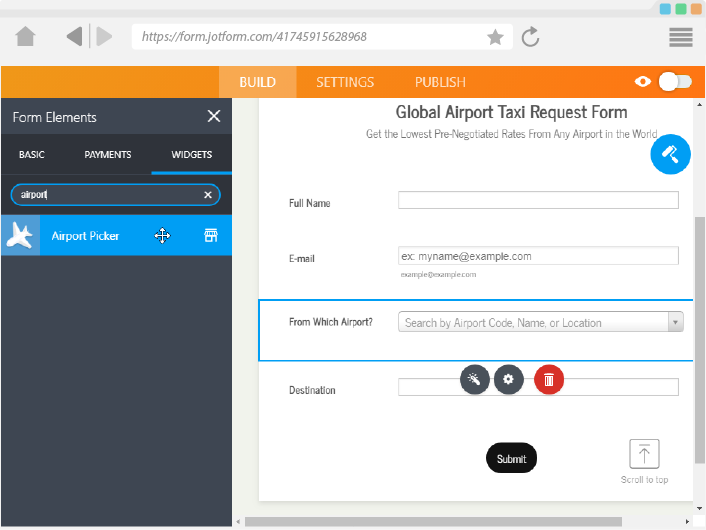 Does your form have an airport component that your form users need to fill out? Then this is the widget you are looking for. 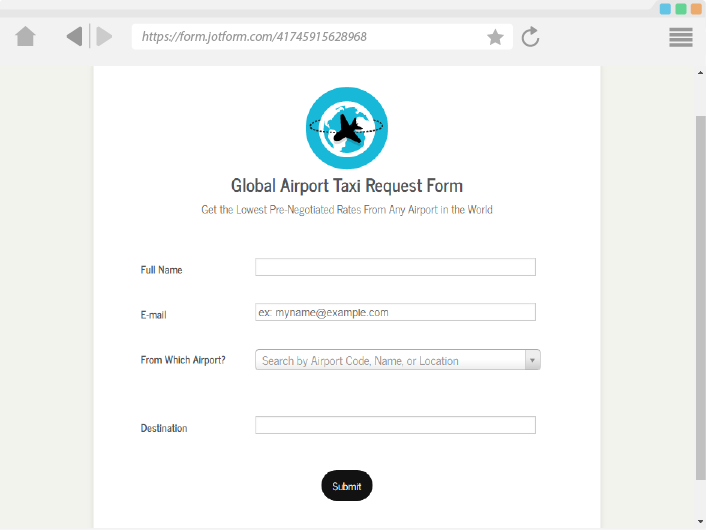 With a complete library of all the airports in the world, this widget will allow your users to search the airport they want to select using the airport name, code, or location. 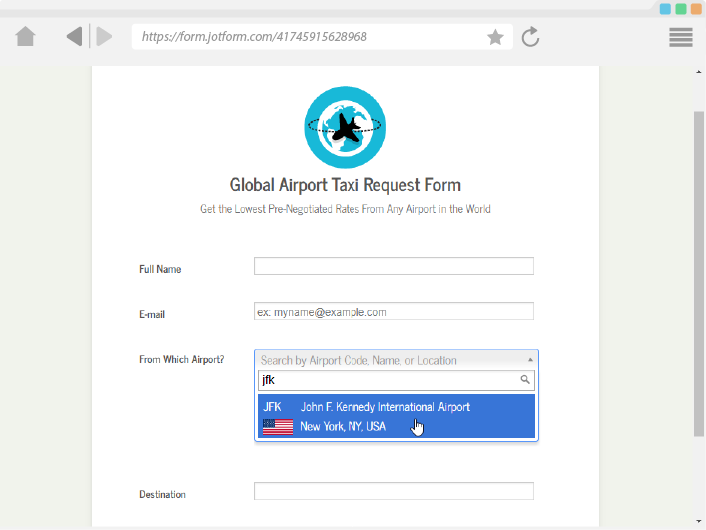 The widget lists all possible matches in an easy to use drop down list that will give your users an easy and enjoyable time in selecting the name of the airport. So are you a Cab or Chauffeur service? Travel Concierge? Travel advisory? This widget is an essential edition to your form.